Randy is married to Tracie and they have four children. Randy was called to ministry in September 1997 and appointed to his first charge in July 1999. A second career pastor, Randy graduated from Lock Haven University with a BA in Psychology 2005 and completed seminary at Evangelical School of Theology in Myerstown with a Master of Divinity degree 2009. 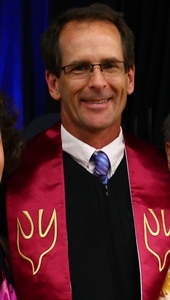 In June of 2012, Randy was ordained an Elder in Full Connection in the Susquehanna Conference.